Open 7 days 12 noon til late. 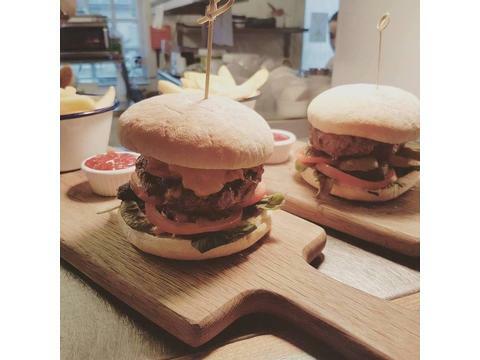 Kitchen open daily Monday-Saturday 12 noon - 9pm. Sunday 12 noon - 8pm. 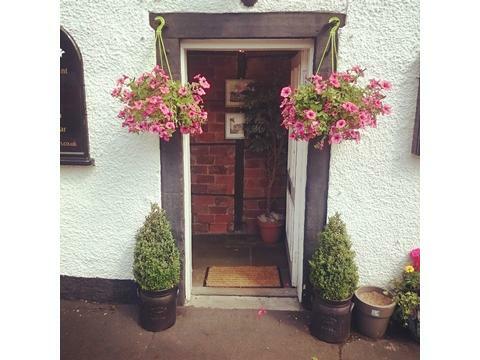 Traditional Country Village Pub & Restaurant serving favourite dishes, hearty bar meals, lighter lunches & snacks all day every day. 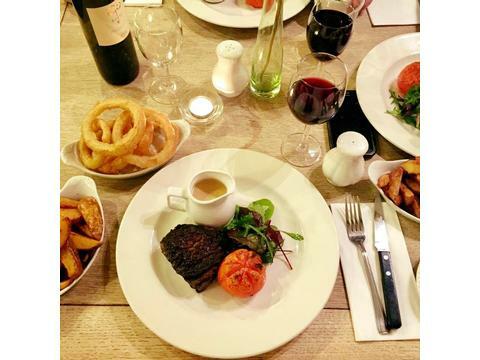 In addition to our Main Menu we offer a popular 2 or 3 course early evening menu. Good Local Food. Real & Craft Ales. 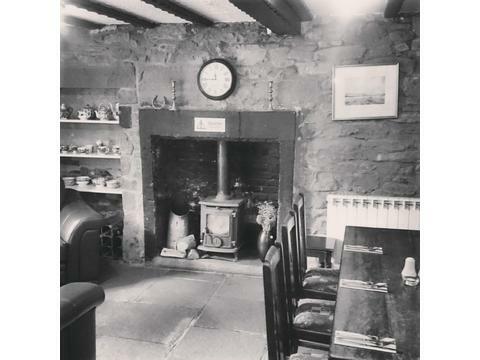 "Worth a trip to the village for its fantastic food alone"
A friendly, family run, local village pub dating back to a 18th Century listed Inn. 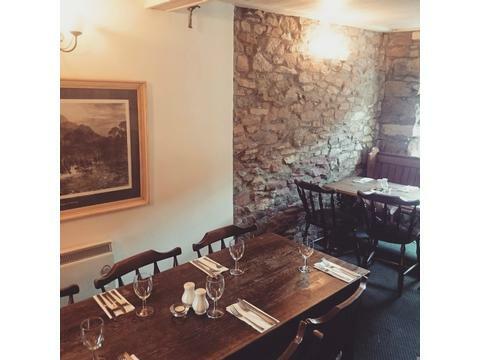 Traditionally situated on the drovers route from Stirling to Dumbarton, today offering local passing trade and travellers alike a welcoming environment to enjoy good food and a refreshing drink. Open 7 days every week for casual bar meals as well as classic restaurant dining, with an extensive selection of fine wines. 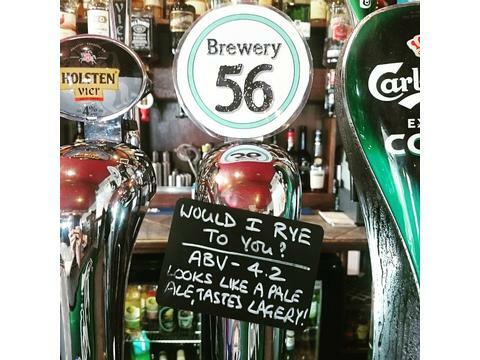 We serve a selection of real ales, craft beers and offer our own Downie's Loup cask, which is brewed from our own recipe. Ingredients are sourced locally where possible and all food is prepared and cooked fresh to order. 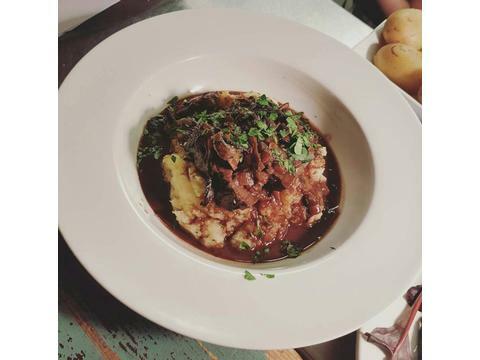 We offer a range of menus serving popular British dishes, pub favourites and a la carte special plates throughout the day, suitable for 3 course dining, bar meals, light lunches and snacks. We offer a local take-away menu and off-licence, including our extensive 50+ wine menu, available at off-licence prices. 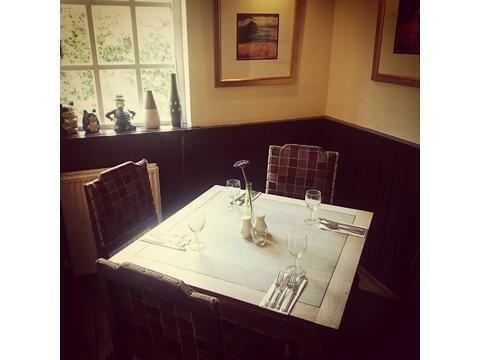 In addition to our main menu we provide a 2 or 3 course Lunch and Early Evening selection. 2 courses only £9.95. 3 courses £13.25. Available Sunday-Friday 12noon-7pm and Saturday 12noon-4pm. 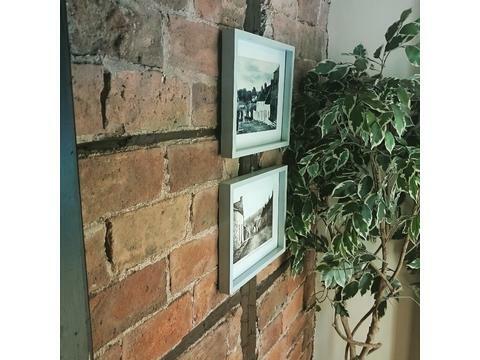 At your preference, we serve food in the restaurant, private dining rooms, public bar or by the log fire. Please call to book. 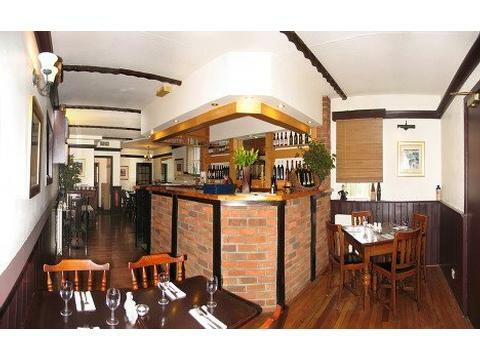 "Good Food, Good Beer, Good Friends, Good Times"
The restaurant attracts all ages and is family and child friendly. 18+ years only in the public bar. 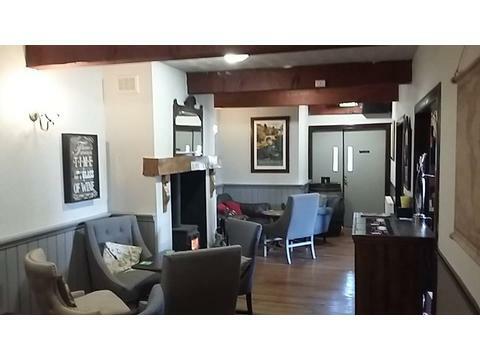 Dogs are welcome in the public bar and at the tables and seating by the fire outside the bar. No dogs in the restaurant, thank you. Walkers, Cyclists and Bikers welcome. There is a pool table available in the bar. We have a small (and weather dependent) beer garden with picnic tables to the rear of the building. 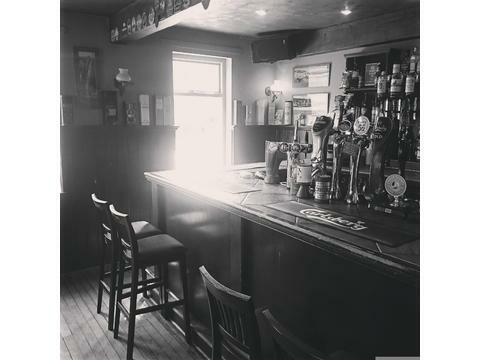 Situated in rural Stirlingshire, the welcoming Pub is found on the Main Street of the Village of Gargunnock - only 6 miles West of the City of Stirling on the popular A811 tourist route from Stirling to Balloch, in Loch Lomond. The village lies within the Carse of Stirling, which forms the upper part of the River Forth floodplain, bound by the Touch and Gargunnock Hills to the South and the braes of Doune to the North. Nearby Loch Lomond & the Trossachs National Park. Car parking is available in our designated car park to the rear of the building, accessible from Leckie Road. 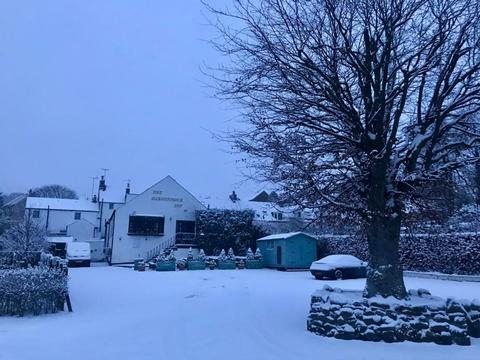 Follow The Gargunnock Inn on facebook for the latest offers and to keep up to date with our social calendar of events throughout the year. 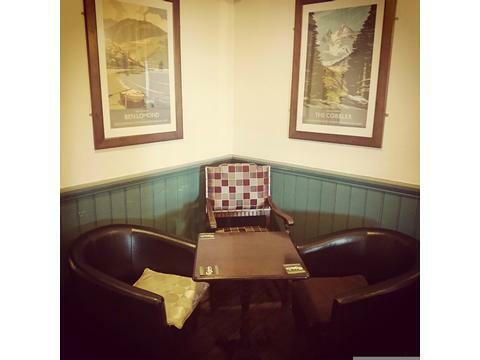 The Gargunnock Inn Annual Beer Festival is held every year on the second Sunday in August, 12noon - 8pm. Cheers! Planning a party or celebration? We can cater for up to 50 persons in our function room. Looking for an outside caterer? Enquire about our sister business, Café Albert Catering. We cater for any number and any size of event, Weddings, Private Dining in your home, on location, at your venue or holiday accommodation.